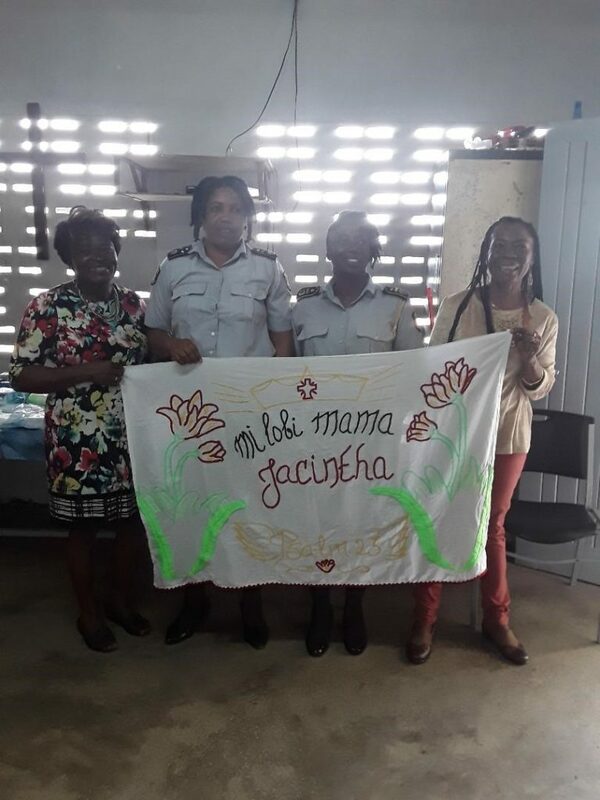 The Double Positive Foundation, with funding from Kansfonds, Netherlands, facilitated a training programme for 18 HIV positive women of the Central Penitentiary in Santo Boma, Suriname. The training aimed to build the capacity of participants in sewing and embroidery with the overarching goal of empowering the participants to be entrepreneurs with skills to create and market their original embroidery products. The training programme was created in collaboration with the Marron Vrouwen Networks. According to Ms Ethel Pengel, Chair, Double Positive, “our intention was to provide skills for these women to work independently when they are released. The programme provided unique skills in designing and creating original clothing and embroidery products. Double Positive was proud to be part of an initiative that provides these women with the ability to earn their own income and provide for their families”.